Glass recycling made easy – we can do better than 6%! This is a guest blog post by Katie McKeon of Momentum Recycling, Salt Lake City’s contracted glass recycling services provider. 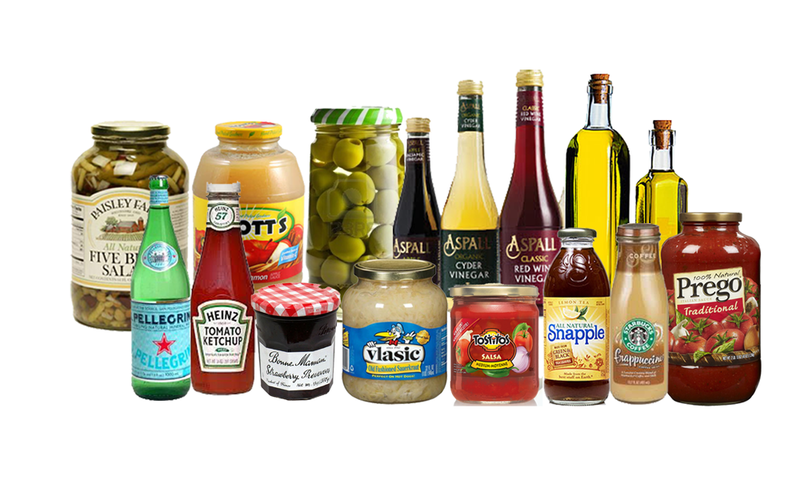 How many of these items do you consume? 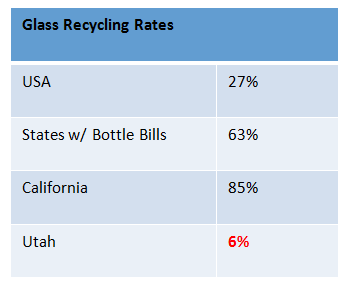 We estimate that only 6% of the glass that enters the waste stream in Utah is being recycled and sent to responsible end markets. A lot of work needs to be done to improve this! Whether it is 1 bottle or 1,000 bottles per month, Momentum Recycling is here to make glass recycling easier and convenient for you. In addition to accessing Salt Lake City’s drop off program, residents can now sign up for curbside glass recycling! This once per month service is easy, convenient, and only $6 per month. Not a resident? Check out our website for an interactive map of 40 different glass recycling drop off locations throughout Utah.